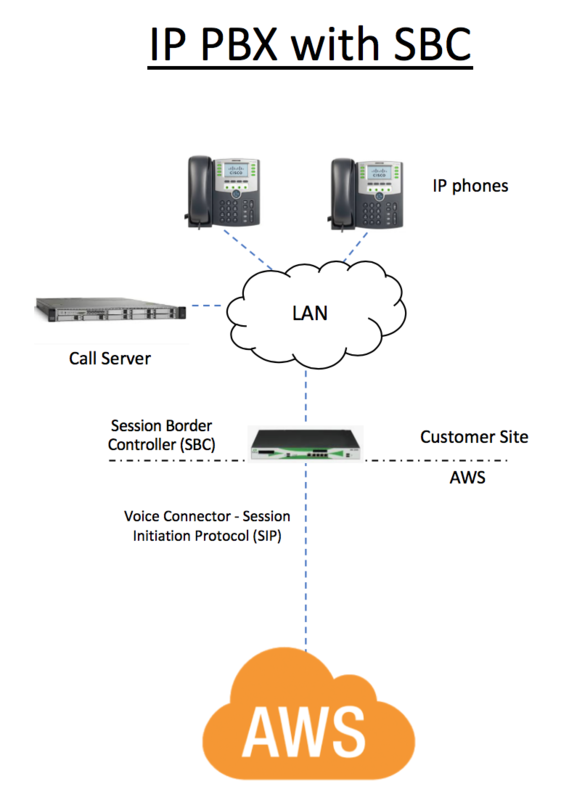 Companies connect their Private Branch Exchanges (PBXs) to Amazon Chime Voice Connector using the standard-based Session Initiation Protocol (SIP) for call signaling and real-time-transport protocol (RTP) for voice. While small companies (<100 seats) will typically connect their PBX directly to the Chime Voice Connector, most mid-to-large customers (500-1000+ seats) will deploy a session border controller (SBC) at the interface between the corporate LAN and the service provider IP network (Enterprise edge). The SBC acts as a specialized firewall that grants access only for calls coming from the enterprise’s trusted service provider. SBCs also prevent DDoS attacks and assists with encryption and NAT traversal.